Pre-sale ended. Regular price now. It has been 4 years since the 1st edition of Triple Ti. Now it’s the time for the all-new designed Triple Ti – Dawn. Dawn has eleven significant improvements over its predecessor. 1. Nichia 219C 4000K LED with an estimated max output of 1,500 lumens, or optional XPL HI 5000K LED with an estimated max output of 3,000 lumens. A true power of breaking the Dawn. 2. 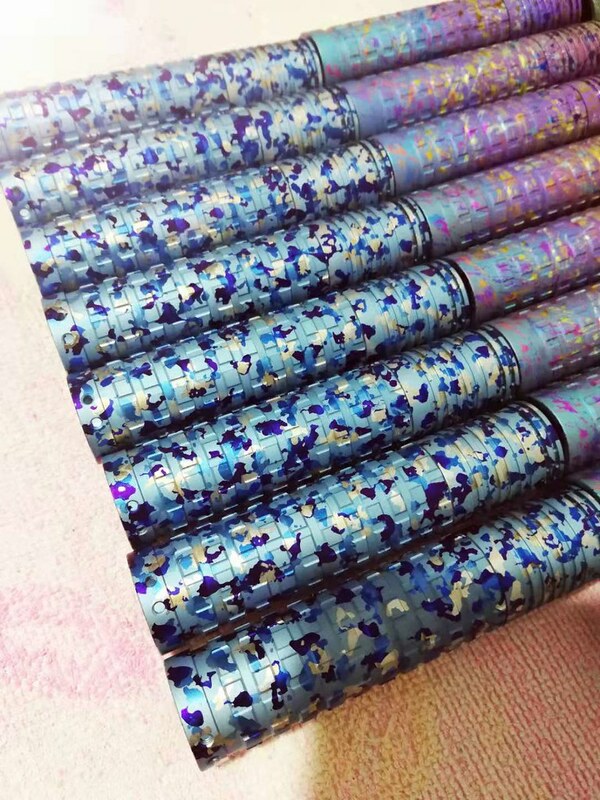 The Sapphire lens provides unbelievable high scratch resistance and durability, as well as adding long lasting value to this art piece. 3. Glow in the dark gasket provides an upscale appearance. 4. Redesigned tail provides smoother operation. 5. 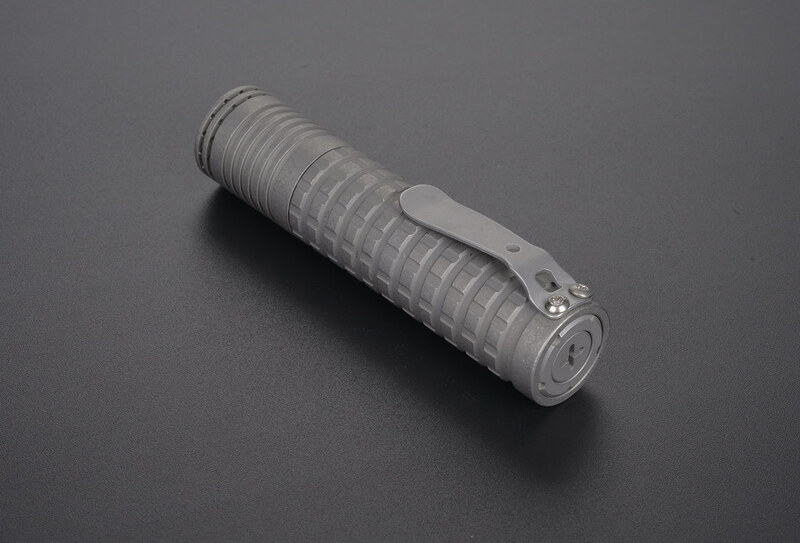 Custom-made rubber cap molding provides superior waterproof ability. 6. 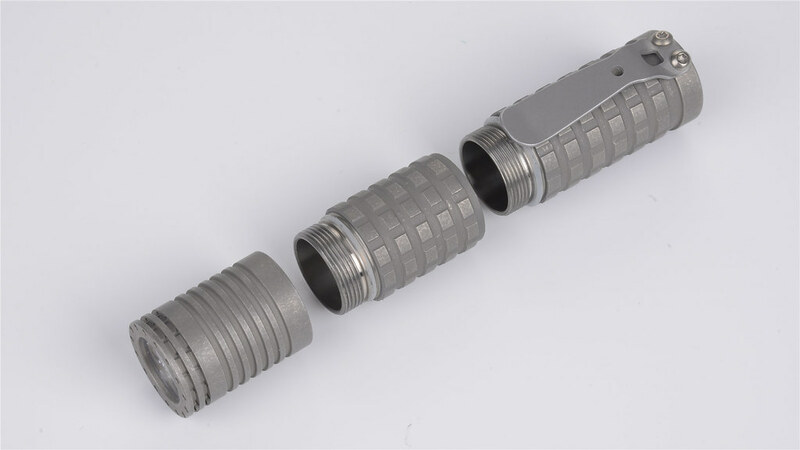 Improved CNC tuning provides better quality of machining. 7. 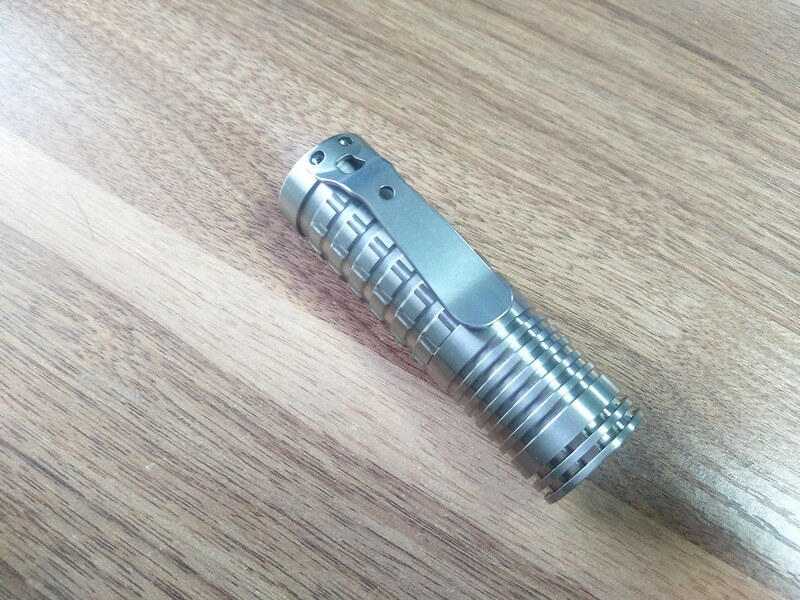 Custom-made Ti clip and screws, available in both flamed or ano’d finish, are compatible with SF clips. 8. Limited-edition Mokume or Damascus clips can be purchased separately. 9. 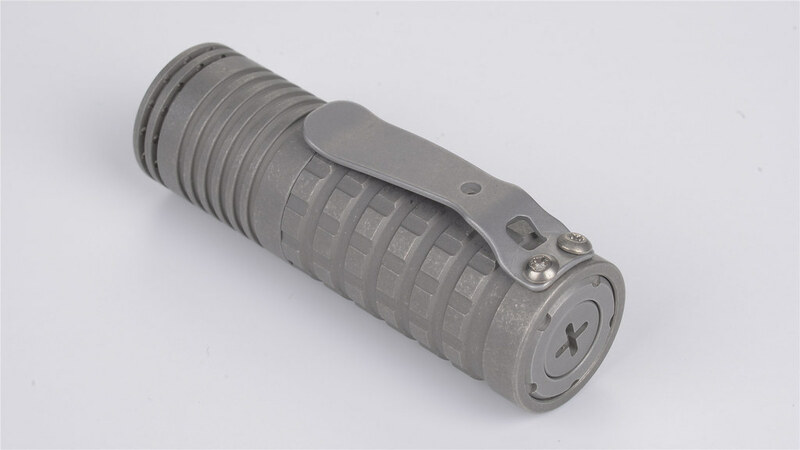 More finish choices: machined, bead blasted, stonewashed, ano’d (Add 50$). 10. 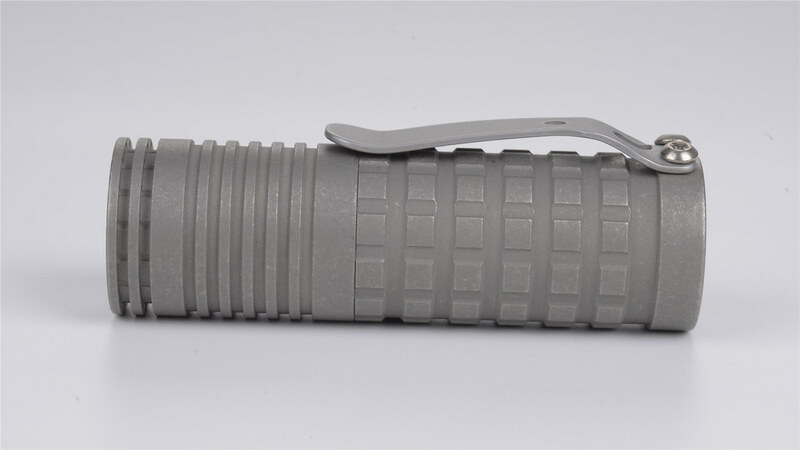 Unlimited combination of tritium vials (9 or 15 trit-slots around head, and 2 trit-slots on the tail button). 11. TA driver with TK’s Bistro firmware. 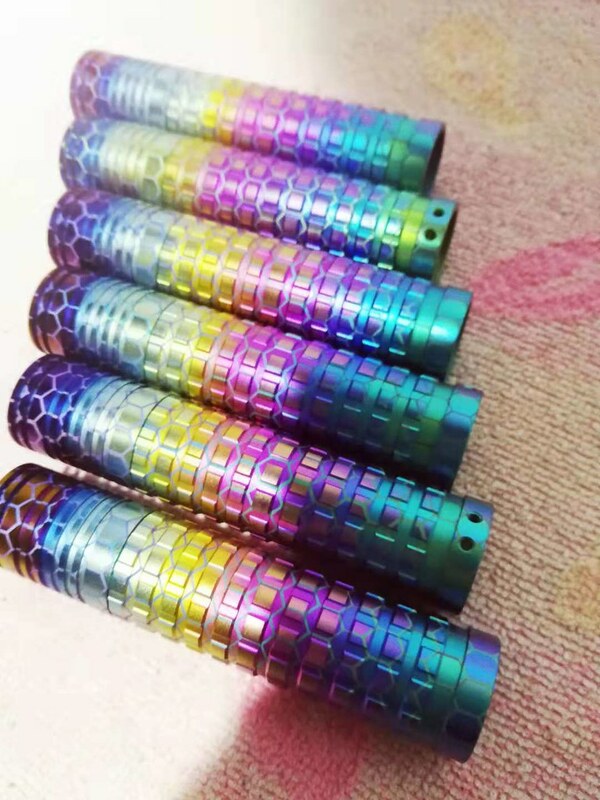 The price of tritium vial (1.5*6mm) is 6$ per piece, available in ice blue, green, yellow, red, orange, purple, white, pink. I provide installation service myself. Installation fee is 5$ per flashlight. 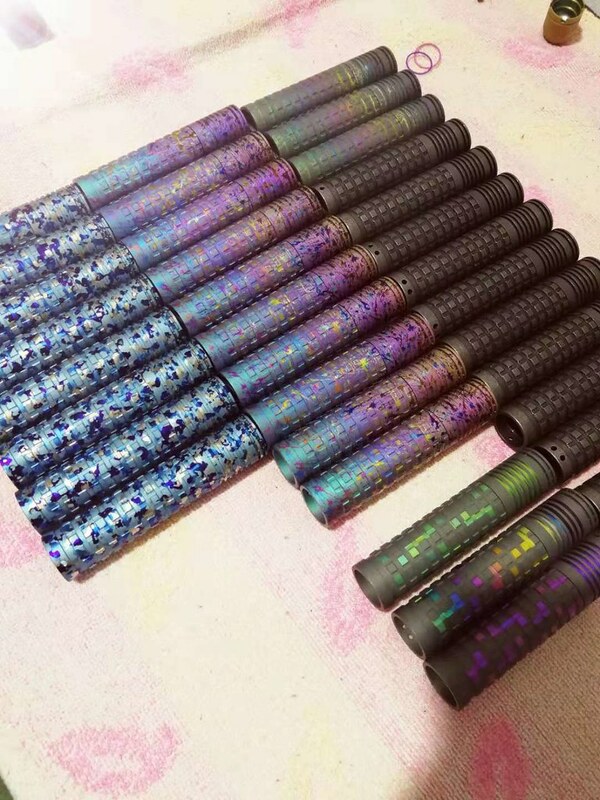 Please make sure you write a note of your preferred LED, finish and tritium vial colors when you send the payment. 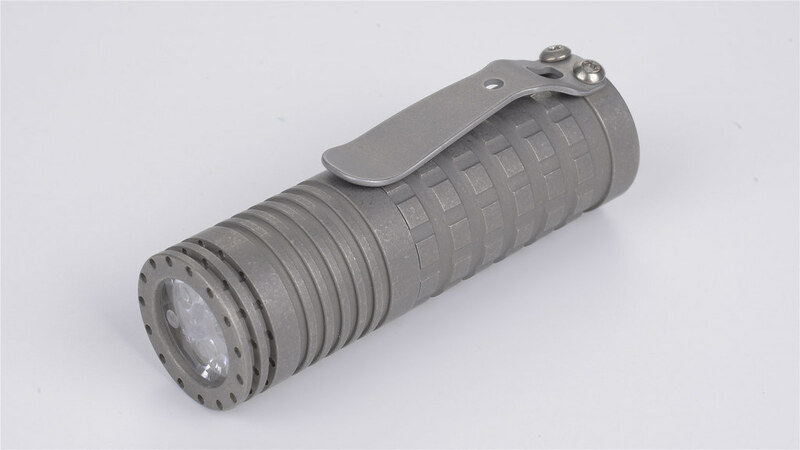 Will this be a regular production light or just one batch? I assume that middle section comes out to support 18350? Does it use a pill or shelf for the driver and mcpcb? Is it glued or can someone mod it in the future? Is it a 2 channel FET, 3 channel FET or linear driver? * Will this be a regular production light or just one batch? Pls check here for the driver. Middle section can be removed to use 18350. Good to see the improvements! Does the driver do thermal regulation? 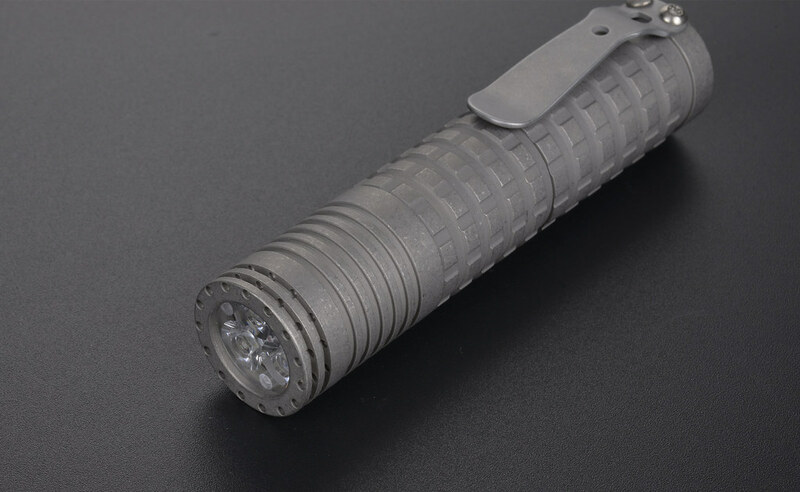 Which is kind of important on hotrod titanium flashlights? Enjoyed the last light from you but was battery size sensitive so,,,are springs better in this model and 3400 were a no-go! I can’t decide between the machined finish and the stone washed finish… Any chance for a black-washed finish? May we see renderings of 18350? Rey, I have several of your lights and I love them. The Ti Lan is absolutely my favorite AA light. I want to ask for this one, is the head mcpcb swappable with a noctigon triple mcpcb? Also do you plan on making copper version? I think for 18650, the heat might be a bit much for TI and copper would be perfect. 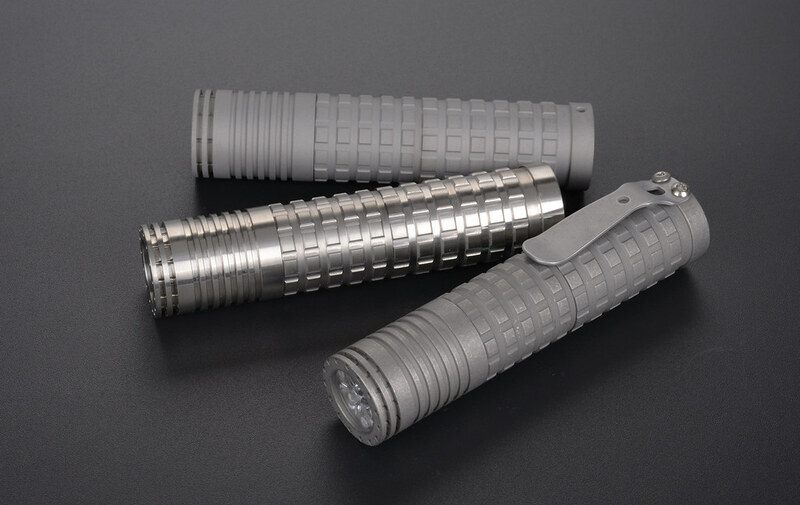 I tried to visit www.reylight.cn to get a better idea of what the different body and clip finish options looked like but the site has apparently been hacked. Rey, if it’s going to take a while to get it up again, can you post some more pictures here? When you say the head holds 9 or 15 trits, are there two different drilling patterns, or are they all drilled for 15 and some only loaded with 9? Also, the internal BLF link to the driver info in post #4 above isn’t working for me. Maybe we can find more driver info here. Won’t happen again, haha, I will make a list. It is same size as noctigon triple mcpcb, 20mm dia. Copper version, not sure yet, might be a very future plan. Yes, I will post more pics. 15 trits, slots around head are drill more closely then the 9 trits. post #4 link revised, thanks. Is it possible to get one with a simple UI for those who don’t want to have to program their lights — low/medium/high, for example? The UI default is 3 mode. LMH. How about some photos that label which finish is which, please? Maybe we can find more driver info “here”:http://budgetlightforum.com/node/48447. If you can only pick two, in addition to machined, who should choose? Looking forward to more data and detailed photos. I really like the extension instead of separate tubes. Looks very natural. Except for the added complexity of making them line up. New to forum. New flashaholic. Electronics pro in the past. Love that new upcoming light in ti. Like the machines finnish.Getting one. 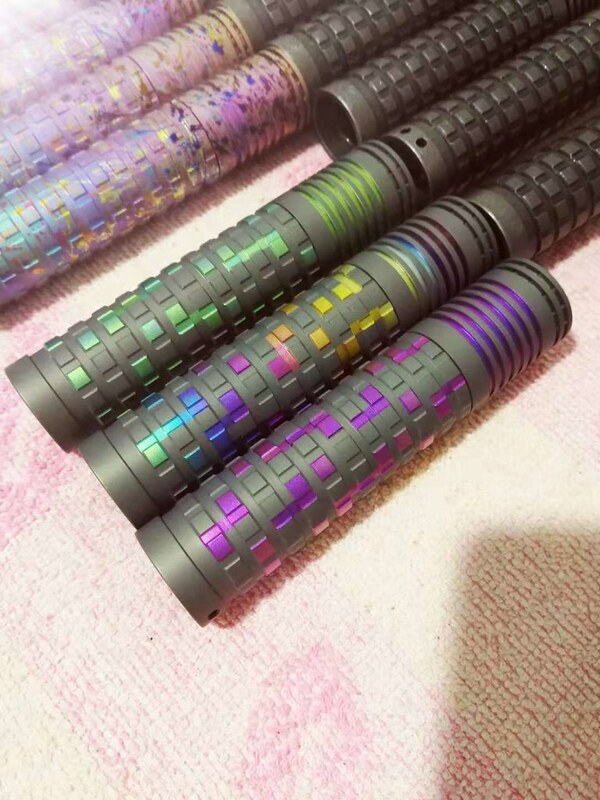 Like to see the Damascus clips.Regards D.E. The shorty sold me. Pmt sent. My first Ti Reylight.